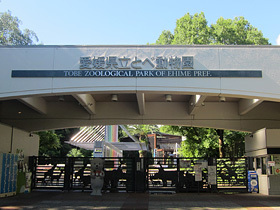 Tobe Zoological Park of Ehime Prefecture is a popular zoo in Tobe, Ehime Prefecture. There are over 765 animals of around 163 species (as of September 30, 2015) kept in an environment with a good balance across the fields of geography, taxonomy and ethology. 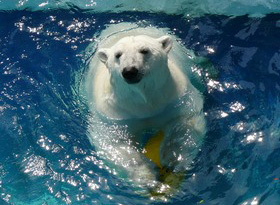 The polar bear, Peace, which was reared through bottle nursing, is the zoo's most popular animal. The zoo is divided into 10 streets, and there are animals exhibited in each zone. Visitors can also interact with animals at various events. 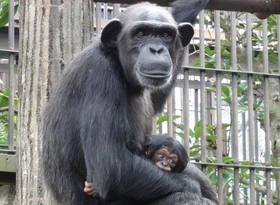 3:30pm is feeding time for the animals, and there are some animals that are not visible to visitors at that time. Thank you for your understanding. ＊For the latest time schedule and fare information, visit the Tobe Railway Bus website. Please refrain from drinking alcohol or bringing alcohol into the zoo. Please do not feed the animals anything other than their specified food. Do not remove any plants. Please do not collect any insects. Please refrain from any sales activity inside the zoo. Please refrain from smoking outside of the designated smoking locations. 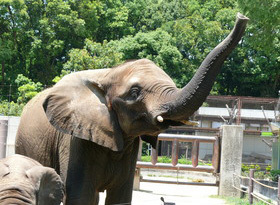 © TOBE ZOOLOGICAL PARK OF EHIME PREF.